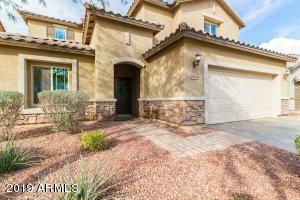 Great curb appeal with welcoming courtyard! 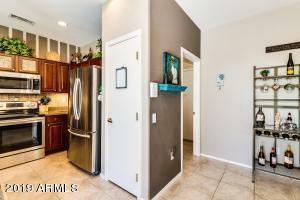 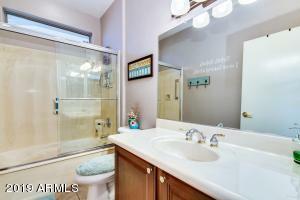 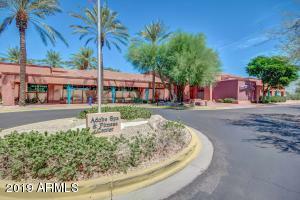 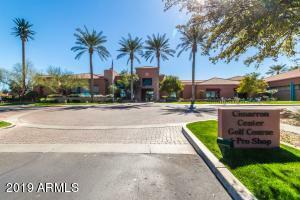 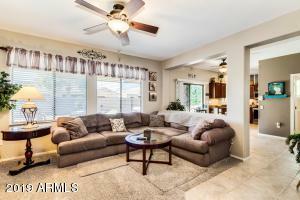 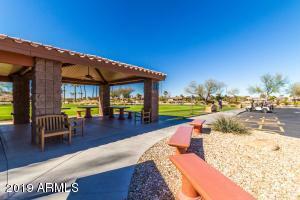 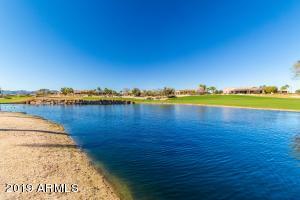 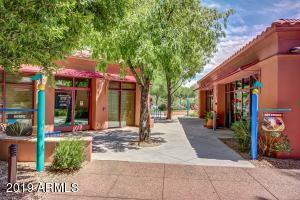 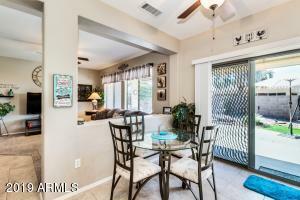 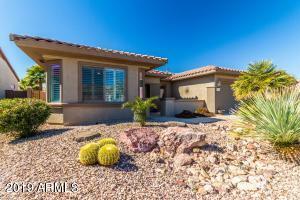 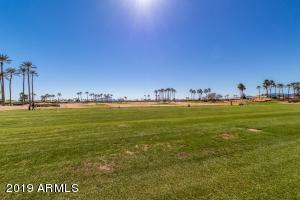 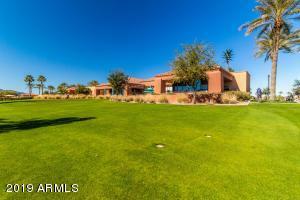 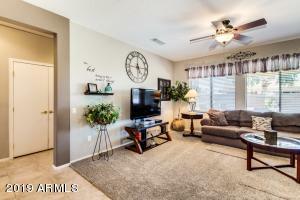 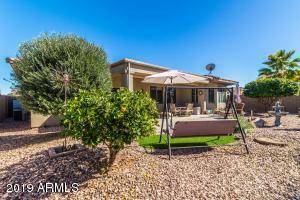 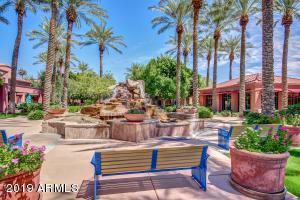 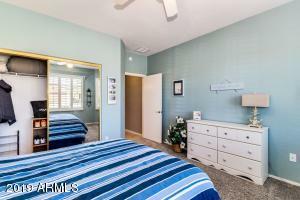 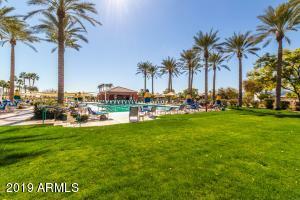 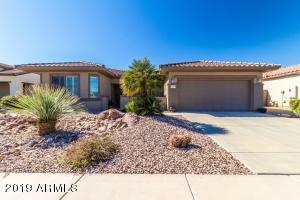 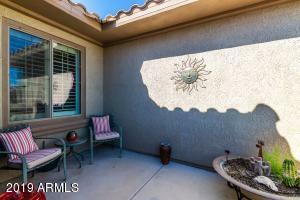 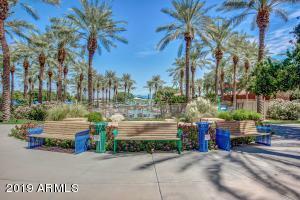 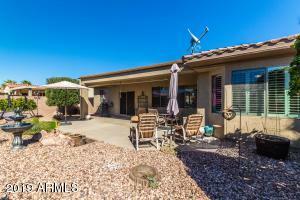 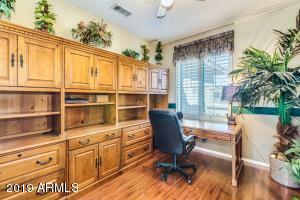 Super location near the Cimarron Fitness and Day Spa. 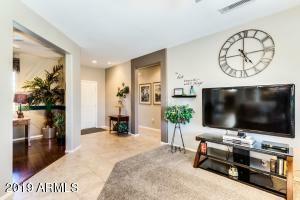 Move-in ready and furniture available by separate bill of sale. 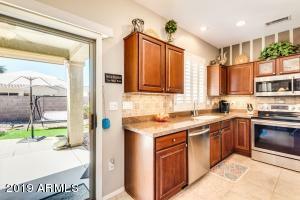 Cheerful eat-in kitchen with chiseled edge slab granite counters and tumblestone backsplash and 1 year new stainless steel appliances! 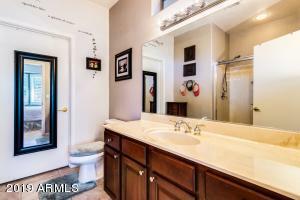 New carpet and water heater! 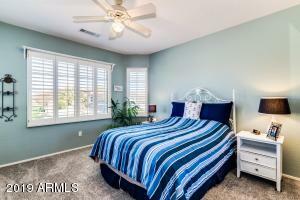 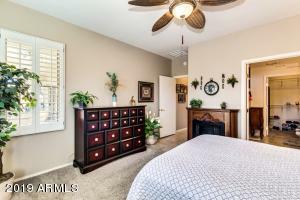 Upgraded ceiling fans and shutters throughout. 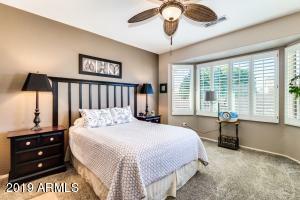 Spacious master and secondary bedrooms complete with bay windows. 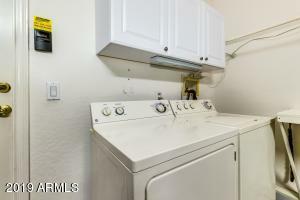 Large mudroom could convert to inside laundry. 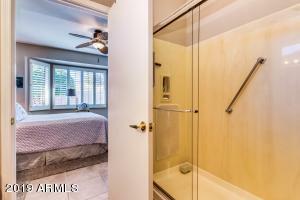 Extra deep 2 car garage with cabinets and shelving. 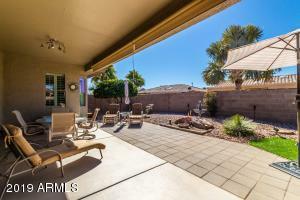 Block fenced back yard for ultimate privacy. 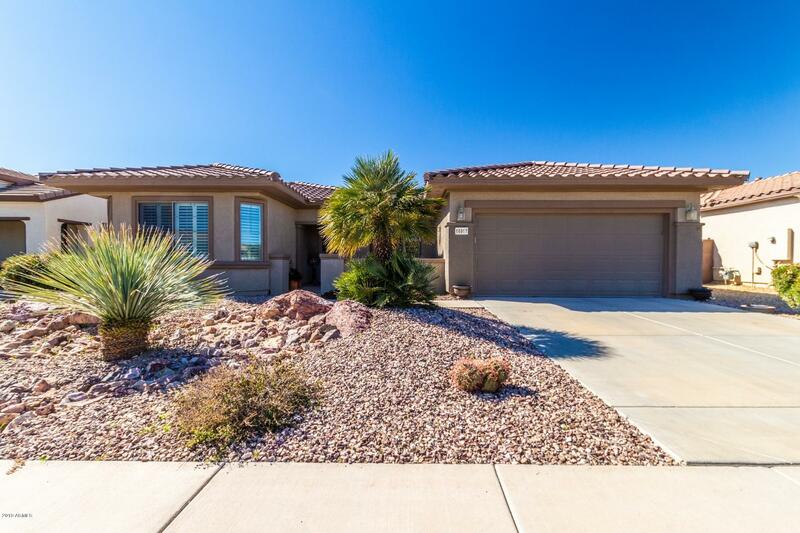 Enjoy fruit from your own citrus trees and lounge with your favorite beverage and enjoy all that Sun City Grand has to offer!